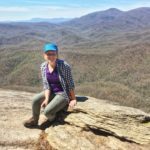 This hike follows the Jones Gap trail along the Middle Saluda River to Jones Gap Falls, then returns the same way. The terrain is gradually uphill to the falls, with large rocks and stream crossings studding the path the entire way. Therefore, it is not recommended for our youngest hikers; ages 3.5 and up seem to do well. 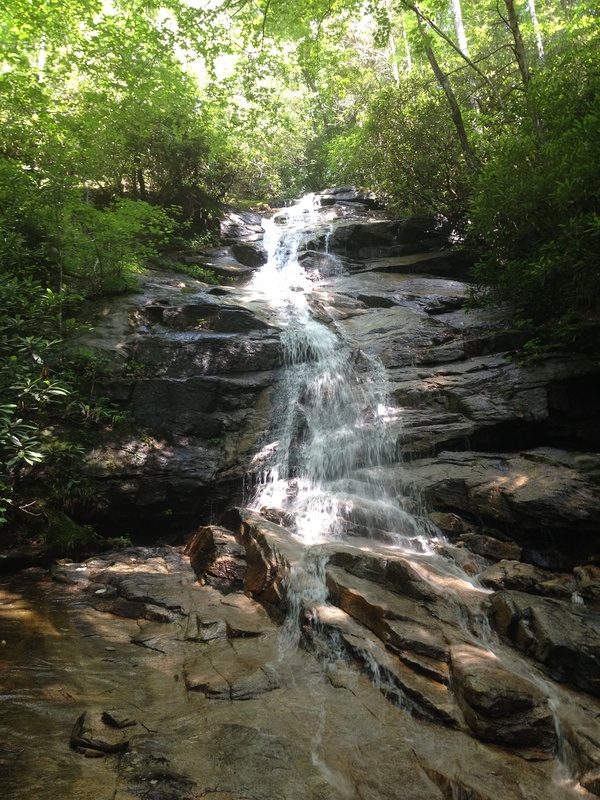 Once you reach the falls, there is a good-sized pool for wading, as well as several large rocks to sit and snack on. Nearly all sources list this hike as being 1.1 mile each way; however, they are measuring this from the park headquarters, which is 1/2 mile from the parking lot. In reality, it is closer to 3 miles total.